Recent find at the Kinokuniya Sale during the first week of November. I have not seen this book before but it’s actually not a new title. In fact it was released 3 years ago! Published in November 2010 by Bunka. The book is called 気分はマニッシュ by 高田祐子 (Yuko Takada) who is a graduate of Fashion studies from Bunka Fashion College. She is also the designer of a brand called TAGE and you can see more of her works here. Thankfully, the title was interpreted by either the author or the publisher. The translated meaning of the words actually mean Mannish Mood, or in better grammar – A Mood that is Mannish. But the title given is She has a mannish style. I guess what it is really trying to say is Clothes for women with a masculine style? Whatever the title is, the book is not your usual floaty dreamy dresses. In fact I find that these are more wearable on a day to day basis. The pieces all have a designer touch. Everyone will be asking you where you bought your clothes. There are 20 projects listed but some of them are actually the same pattern but made in a different fabric/styling variation. Let’s have a look! I had some difficulty taking photos of this book.The challenge was from the fact that the pictures were mostly dark-themed and even the clothes are dark, so you can’t really see the details till you get to the how-to-make page where they show you the outline diagram of the garment. But you can still get the gist of how cool the clothes are from the photos. Oval Coat – with a rounded collar, Puffed sleeves that are gathered at the elbow and extended as a long knit tube down to the wrist. It’s hard to describe it really. It might be easier to take a look at the diagram. From the photograph it looked as if the light gray sleeves was actually a separate long sleeve top below the coat, but it turns out that it IS part of the coat. Now you have an idea of how the photos might be deceiving, we will move on and look at the other garments. The dress has a baggy top with a tight fitting mini skirt attached. The model is shown wearing it over what could be a turtle neck + leggings. There are actually more details to the dress near the neckline but it’s all black so it’s hard to see! Fleece Jacket with knit fabric lining. Square Cut & Sewn blouse. This is a very interesting blouse. In fact when you see the how-to-make section you might wonder how it is actually worn! The entire blouse is like a very wide rectangular tube with two holes on the side seams for your arms to stick out of. 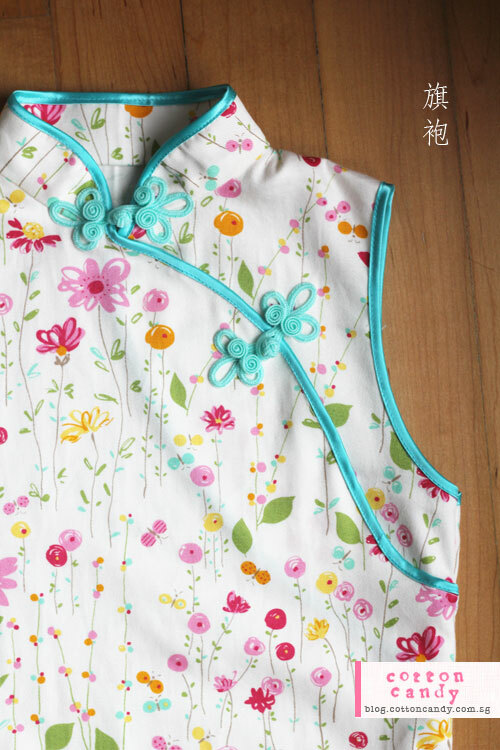 The top is lined with buttons on the front neckline, and buttonholes on the back neckline. Button as many buttons you want on the sides to adjust the neck opening size. Drape mini dress. This reminds me of one of the Drape Drape dresses but it looks a lot easier to make, at least from what I can see in the pattern cutting layout diagram. Here’s something that will add a designer touch to a plain outfit. 3 different variations of a Tippet. Dots blouse. It is quite a standard blouse pattern but I think it’s a brilliant idea to use 2 different color fabrics from the same series to make the left and right sides of the shirt! This is a pattern that is used twice, for No 14 and 19. No.14 was in black, and it was impossible to see the details. Here it is made in a light khaki stretch corduroy, with a tie ribbon belt (removable). 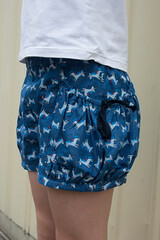 This pair of culottes include side pockets and a zip fly. There is a series of diagrams showing you how to sew that but I can’t quite figure it out. I have never attempted to make one because it looks too confusing. The last pattern in the book is a belt stole. Now here’s a stole/scarf that will never slip off your shoulders. It is literally attached to the belt and the belt is pinned down with a huge industrial looking safety pin. Hmm… ok it might be a stylist’s accessory but the pattern itself did not include instructions for buttons or buttonholes of any kind. So I presume it is entirely up to your creativity how you want to secure the belt. There are 6 pages of additional sewing tips/instructions made up of text+black and white photographs. While some photographs are quite self explanatory, I find that the majority of the photos still rely on some explanation from the accompanying text, so it may not be so useful to you if you are not able to read Japanese. An example of the typical How-to-make page. There are diagrams included to illustrate the order of make, so you can just refer to the diagrams. Like all other books, there will be cross references from one project to another if there are similar steps involved. 2 sheets of actual size pattern papers included. It was such a coincidence that I was going to review this book this week, because I just received an email with a translation request for the Velour blouse from this book! I will be posting it up later this week or next but I will link it up from this post again. I made a last ditch effort to dig around the archives for this book review, I was so sure that I had reviewed it, partly because I remember being really excited about its release and I bought it as soon as it was available (that was some time in May or June). But I could not find any pictures or drafts related to it, so it must have been my imagination. So here it is finally, the book by Yuki Araki – きちんと可愛い女の子服 or Neat and Lovely Girls’ Dresses, for sizes 100-160cm. There are 21 patterns for sizes 100-140cm and 9 patterns for sizes 150-160cm. Patterns were attached to the front of the book this time. 2 large pattern sheets. An overview of the garments included in this book. The ones in the image above are for 100-140cm. The 9 patterns below the divider are for 150-160cm. Out of the 9 patterns for 150-160cm, M, K, N and O are only available in 150,160cm sizes. The rest (marked with a star) are available in 100-160cm sizes. Let’s have a look at some of the garments. 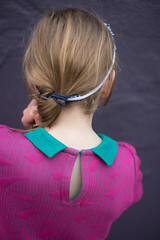 Blouse with back ribbon tie. So pretty! Ribbon tie on the back of the blouse. Deep collar dress (I am literally translating the titles here ;P) It actually means a low neckline with a collar. 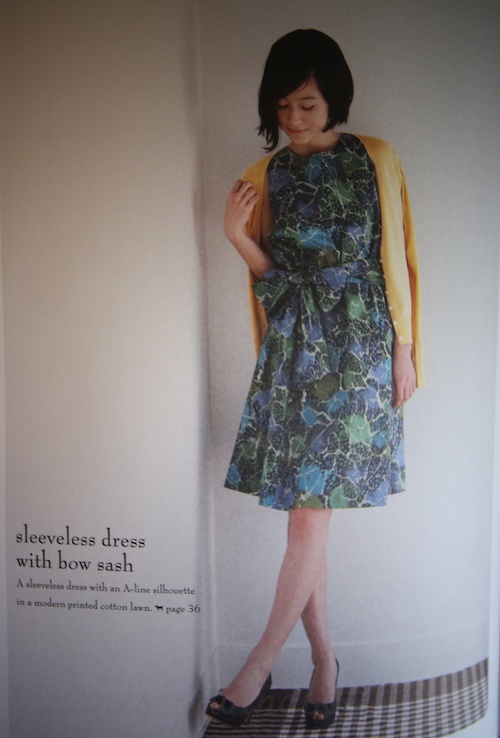 Dress with Raglan sleeves (this is the dress on the cover) made with a scalloped border fabric. I can’t seem to find any scalloped edge fabrics here. Do you know of any online sources? Ribbon dress with ribbon details on the shoulders. Both the dress and ribbon are made of satin material which explains the nice sheen to it. Lovely isn’t it? 3-tier blouse + Ribbon skirt. There are two huge ribbon ties on the side of the skirt which you may not be able to see from the picture as it is a white lacy fabric. Flap Blouse and Below-the-knee pants (literally!) I really like this blouse. It has a very interesting overlap effect on the sleeves, making them look puffy and somehow really stylish and cool! The pattern for the blouse is only for 100-140cm though. The patterns for the pants go up to 160cm. 2 layer blouse + Frill skirt. Modified collar knit (blouse) and Fishing pants? Jacket + Side box pants (literal translation.The “box” in the title actually refers to the box pleats on the side seams) Very interesting use of pleats. Coat. Yup, it’s just listed as コート (Coat) Love the contrast trim details! A close up of the step by step photographs. The rest of the patterns are included in the back in the usual format. Materials, Cutting layout, Order of make and an overall diagram with the order of steps. Most of the steps other than the obviously simple ones like sewing side seams or shoulder seams, are illustrated in diagrams (see below). I highly recommend this book, firstly because there are not many sewing books out there that cover this awkward range in-between tween-going-on-teenage years. I can think of a few reasons. Firstly the girls may not want to wear clothes made by Mum anymore, cuz it’s just not cool 🙁 Secondly, they want to choose their own outfits, particularly those that their friends are wearing. You know, those mass market brands 🙁 . But I like how Yuki Araki makes the effort to make the clothes look stylish and unique. In fact some of them look really cool and with the right choice of fabrics, they can look rather designer as well. Those of you who still have little girls can also get a lot of mileage out of this book since it includes patterns from 100cm (which is suitable for a 3/4 yr old? I forget how tall my daughter was at 3) all the way till 160cm. 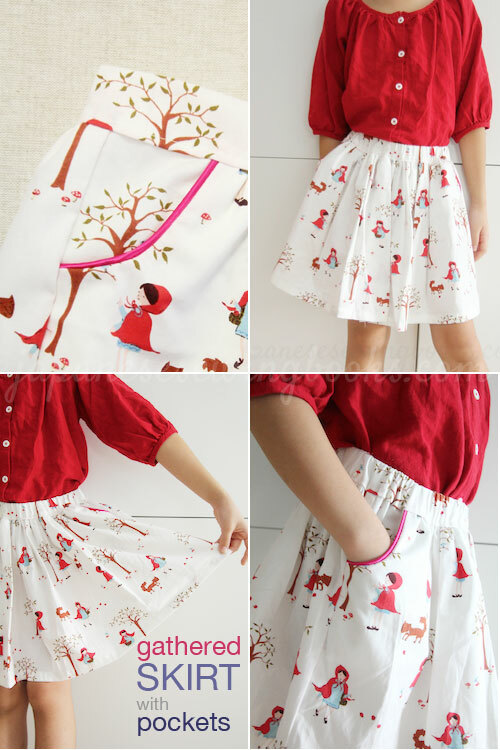 So it is really a must have in your collection if you have little girls to sew for. You can also check out the other book that I reviewed previously by the same author for the 90-130cm range. I need to have a better “filing” system for my blog posts. Now that I have been blogging for almost two years, I find it hard to keep track of what I have blogged and what I haven’t. I was reminded of this recently when one of my readers posted a comment telling me that a free pattern link is no longer available. The pattern is for the kitty fleece hat (see original post here). It was a timely reminder as I was start sewing for our winter holidays. So I searched the internet for a similar pattern and I found it! There is a similar hat on the free pattern website of Pandora House. I last linked up to this site last year and have not visited it since, but there seems to be a number of new patterns added. click here to go to the list of free patterns for autumn/winter. The hat pattern is the last one on this page. Click on the yellow button below the picture to download the PDF pattern. I also spotted these bag patterns which look very familiar to Cath Kidston bags don’t you think? 😛 I do love the shape of the travel bag (top left) and the sports bag (bottom right) which, if I add on some detachable straps, will be a great carry on bag that I’m planning to make for my 9 year old. 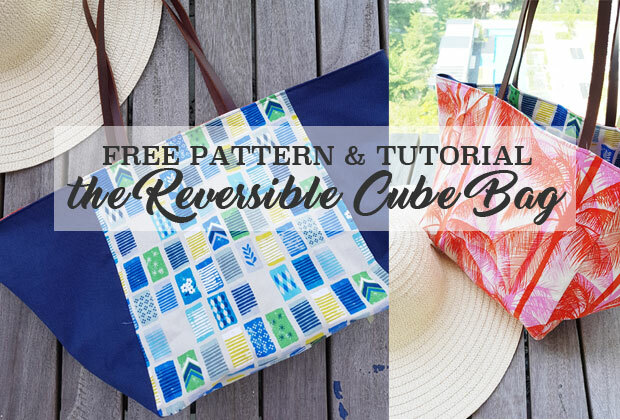 Other than sewing patterns, there is also a full page of crochet and knitting patterns, including some very pretty crochet bags so be sure to check out this website of free sewing patterns once again! Sewing Pochee is published 4 times a year according to the seasons, and it includes lots of sponsored specials and special features that are more often found in magazines than books. 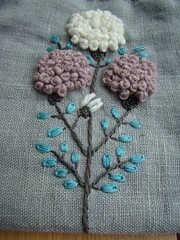 The projects range from garments to accessories and ornaments, quite similar to Cotton friend. Yet I think it qualifies as a book because it has a ISBN number unlike the regular magazines. Never mind the technicalities, it is still one of my favorite sewing books from Nihon-vogue’s – Sewing Pochee 2013 Autumn Vol. 16. Why do I like this book? 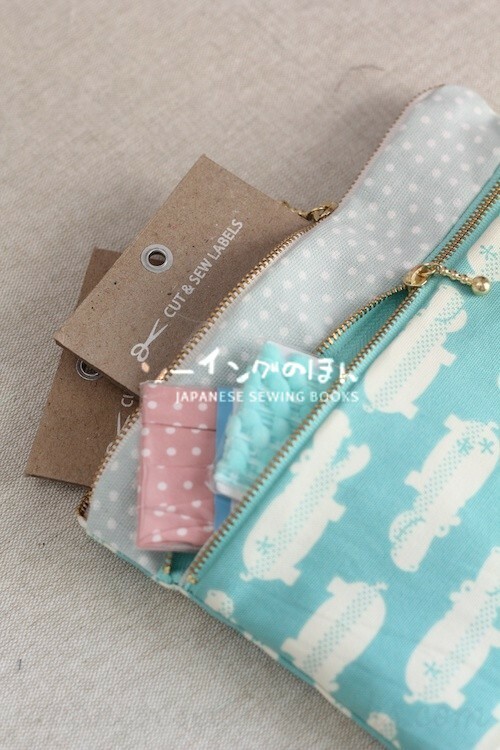 Because they will always feature a combination of works from the “famous” sewing bloggers/crafters/authors who have published books under the Nihon vogue range. In this issue you can find the works of Nanotone, 荒木由纪, May me, a sunny spot and more! There is also a free 25x25cm free fabric sample from a new fabric collection + ideas and patterns on how to use the fabric. I’m not sure if the fabric is enough for making these room shoes but the patterns are included and you can use your own pretty fabric to make these cozy room shoes. Now let’s step right in and have a look at the garments and projects included in this issue. The headline of this issue. – Using one pattern to make mix-and-match clothes. I’m trying to translate the headline but it basically means you can make multiple variations using one pattern. Round collar dress/blouse, which can be worn front or back, as a dress or a coat. Linen Gilet (Gilet – french for a sleeveless jacket resembling waistcoat/blouse according to Wikipedia). Belt detail as seen from the back. Some of the projects (especially the sponsored features) come with step by step photographs. These are found within the main section of the magazine in between the projects. Close up of the steps. This issue’s Bernina special features the Bernina B580 (drools) and includes a pattern for making this poncho out of thick fleece fabric. Complete with step by step instructions which I guess its supposed to show us how well it sews on thick fabric. I will have to take their word for it since we don’t even have a proper showroom here for Bernina with the full range of machines for testing out. I will love to do a review on the machine 😛 (ok I’m just trying my luck here) Check out the pricing below for the B580! 484,500 yen is about USD4931. How does that compare to the Bernina prices where you are? I notice Men’s patterns have been showing up in recent magazines. And not just the usual t-shirt/shirt patterns. Back view of hoodie, and the pattern for the bag is included too! Padded vest. Very college boy look? The only problem with these patterns are, they only come in M size! Those of you who follow me on instagram may have heard me wondering aloud yesterday morning. There is a special feature by Arai Yuki 荒木由纪 in this issue where they provide the adult pattern version of two of the projects in the girls sewing pattern book -きちんと可愛い女の子服. This book was released in May this year and contains 21 patterns for 100-140cm and 9 patterns for 150,160cm. Just the thing for pre-teens and teenage girls. I had this book for quite a while and somehow I thought I had already posted a review but while searching for the book review to link it up to, I just could not find it anywhere! I will review it next week. I received a few questions about the possibility of making balloon dresses in adult sizes. Guess what? You can get the adult version right here in Sewing Pochee! For those of you who have kids, there are a number of Mama+kid matching sets for you to make. Suitable for both boys and girls – Parka coat and Jacket. This pattern is for the knit pants (not the shirt). Relax straight pants for mama, sarouel pants for kids. Other than garments, there are also accessories, such as this bag with embellished by Liberty fabric. A little wire frame purse and felt mascots. Handmade bracelets using leftover fabric. Some cute ornaments to make. You can hang them on your christmas tree! Make coasters out of fabric scraps. Other than sewing projects, there are also some special sections like this one. 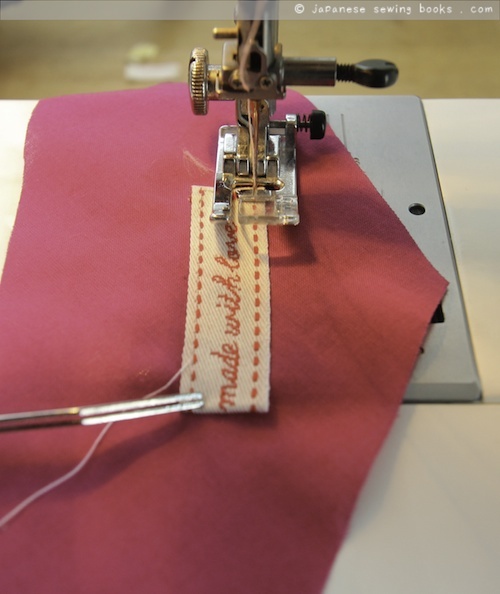 Peep into the sewing rooms of popular craft authors and see how to store their sewing supplies! Now for some technical information. Here are the adult and kids size charts. For the adult (ladies) size chart on top, the values on the left column are – (Bust / Waist / Hip/ Height). They used 160cm height for all the sizes, so just adjust the length if you are below or above 160cm. For the kids the values on the left column are – (Height / Bust / Waist / Hip). With the exception of the sponsored specials, special features which include very detailed step by step photographs, the rest of the projects have their “how-to-make” included at the back. A typical how-to-make page looks like this. There are no written steps, but you have to follow the order of make in the diagram and each step is shown in a diagram form. 2 large sheets of patterns included.